What do Social Networking and Bank Robbery have in common? My father was an entrepreneur. He started his professional fundraising firm from the ground up and made an honest living at it. 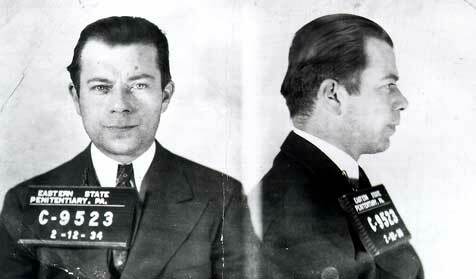 As a young girl I remember hearing him tell the story of famed bank robber Willie Sutton. Legend has it that Willie, when asked, “Why do you rob banks?” famously uttered, “Because that’s where the money is.” I suppose Dad was telling the story in reference to his top campaign contributors. In researching this blog post I see where that line may have been embellished along the way but the quote remains stuck to Willie like a good pair of New York state-issued orange overalls. So what does this have to do with social networking you ask? Well, everything actually. I often speak publicly to business professionals and their organizations about the value of building one’s personal and professional brand online. As I show the growing statistics of small businesses using social networking in an age when creative marketing is a must, I re-tell the story of Willie Sutton. If a notorious thief robbed banks because that’s where the money was located isn’t it logical that business professionals would want to be online where their current clients and future prospects are spending their time? If your customers are on Facebook, twitter, LinkedIn, or some other social network wouldn’t you want to be there too? What are your thoughts? How effective has social networking been in growing your business? Great analogy!As a Real Estate Agent I have found that personal banding and a strong marketing campaign (which includes social networking) have been invaluable. I have seen a dramatic INCREASE in my business in a depressed market…Hiring MarketingMel has been key to this AWESOME year! Thanks Kim. It’s great to have satisfied clients who value MarketingMel’s work! I love it! I never thought about a bank robber as a role model … but in terms of strategy, I suppose one could be. Social networking has been important for me in two ways: One – it has become a method of continued writing; and Two – it is a way to continue to ‘give.’ Giving is the core of my marketing methodology. Thanks Mel for sharing your wisdom of how we must use social media. Thanks so much Jeff. I agree with you about the writing and the giving aspects. The good karma you get from often helping out complete strangers in social networking is invigorating. Social media has blown the doors off of traditional marketing…..building a brand, relationships and a Tribe (ala.. seth godin) is the new way to get your voice heard…..plus, you don’t have to spend thousands of dollars to do it! Thanks Gregg. Social networking is a cost-effective way of getting one’s brand “out there.” It’s great to have a genuine voice, as you do, online. Thanks, Mel! Facebook in particular has been an incredible way for me to stay in front of my clients. My biz page there is a way for people to get to know Creatively Fit and spread the word. I continually find new clients and maintain a relationship with existing clients. I came to social media with a lot of dread. Thanks to the support of my mastermind group and my online business manager, I’ve come a long way. Now I see it as a way to connect with people, clients and friends I care about! And, I can share what I’m up to in an authentic way rather than stuffy sales which just don’t work for me! I agree with Jeff too. Coming to SM has become a way I can give — my thoughts, quotes, jokes — and just generally uplifting energy! Great verbalization and summary of today’s social networking. I am looking forward to learning more from you at our next coaching session; and applying tremendous insight to my business media.